For this episode, I decided to go to Maple Ridge, the land of the inexpensive and sometimes decent sushi. 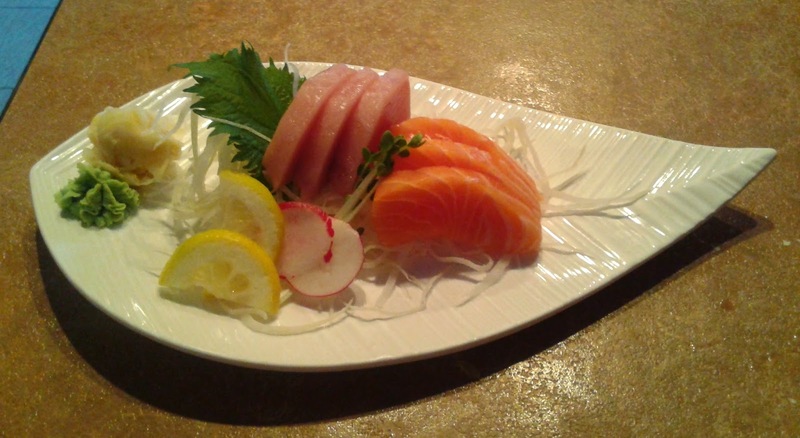 The first time I had sushi in Maple Ridge was at Shinobi, and that visit eventually led to many re-visits. With a large selection of items, where they serve everything from kanisake tempura to ahi tuna sashimi to seared rolls, I constantly find new things to try with every visit. They also serve a variety of lunch boxes from 11:30 a.m. to 3:00 p.m. Since I have never had a lunch box from Shinobi before, I fled from my class as soon as it ended and made it to the restaurant with just enough time to place my order at exactly 3:00 p.m. Score! The lunch boxes come with your typical miso soup. 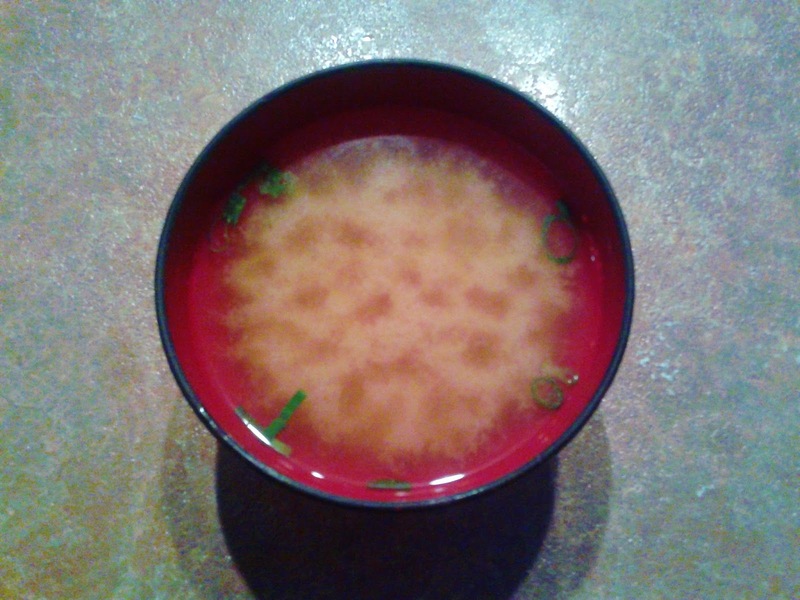 I found this miso soup to be slightly heavy on the salt. 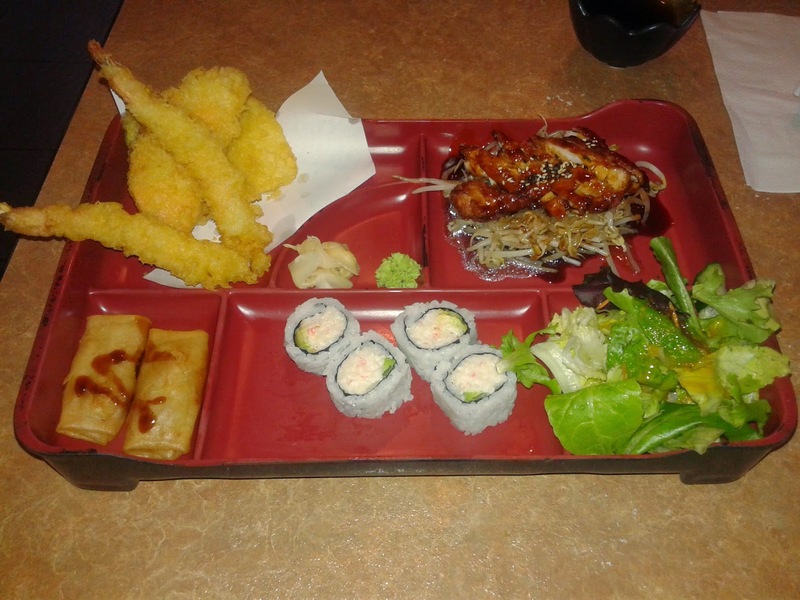 The Teriyaki & Tempura Box came with Appetizer Tempura, Chicken Teriyaki (with rice on the side), Spring Rolls, California Roll (4 pcs. ), and Green Salad, all for just $8.95! I apologize for the inconsistency in lighting as I had to use flash for certain dishes and not use it for others. The Appetizer Tempura came with 2 prawns, and 1 piece each of yam, sweet potato, and kabocha. 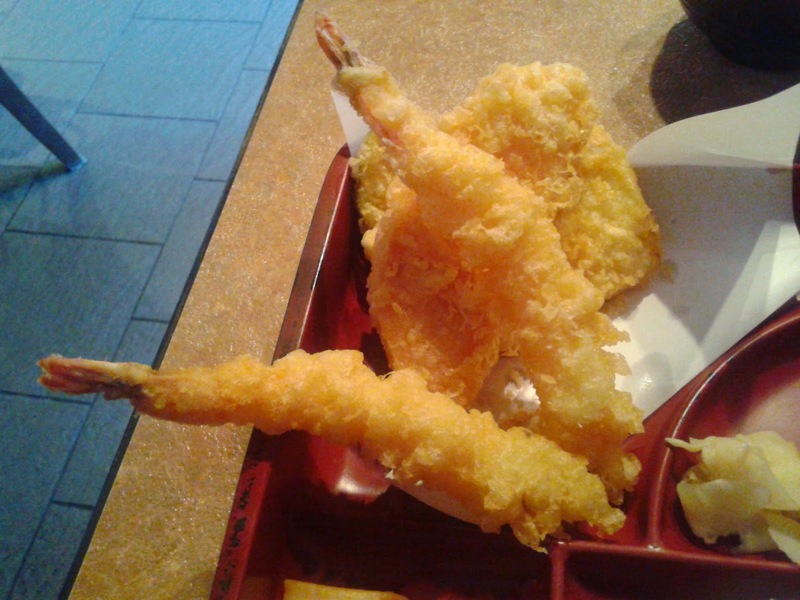 The prawns were sufficiently meaty and coated with a nice crispy batter that was not too hard. The vegetable tempura was also executed well, demonstrating good moisture and flavour preservation. 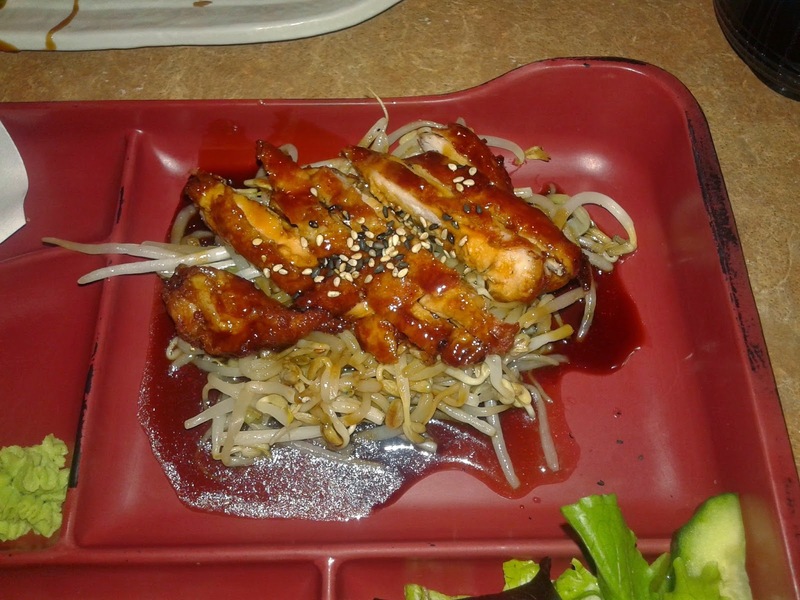 The Chicken Teriyaki came with thin pan-fried strips of chicken. The chicken was mostly tender, but I found the crispy skin to be a little thick. 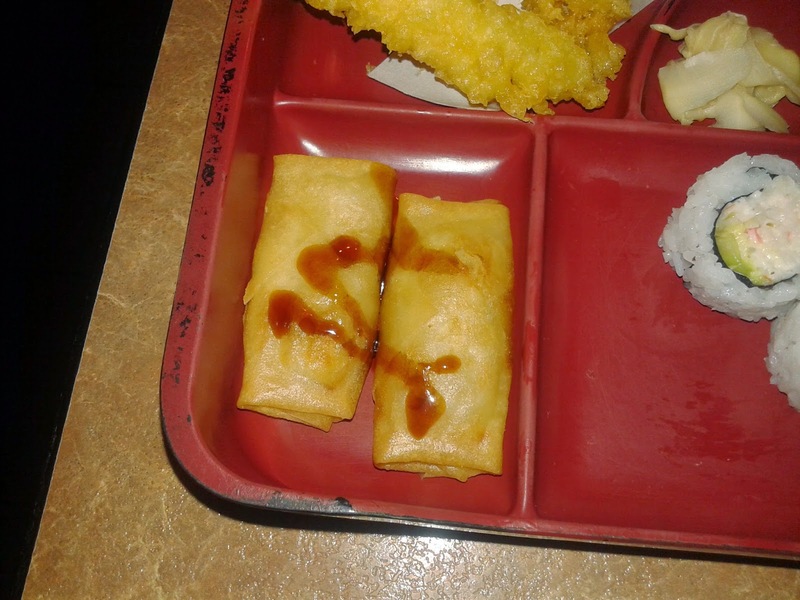 The Spring Rolls were the only real flop of the day, as parts of the pastry were hard to chew. The sweet teriyaki sauce helped to liven up the flavours as there was barely enough filling. 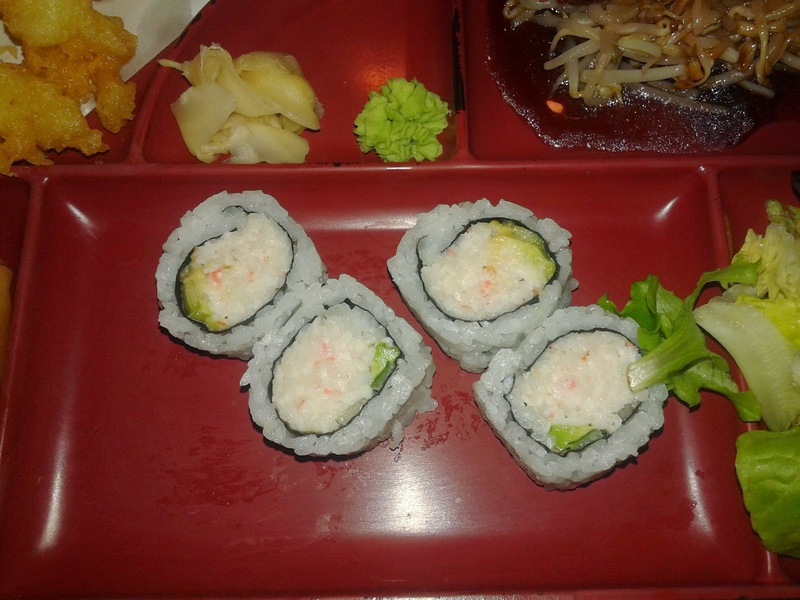 The California Roll came in the basic version with avocado and crab meat. It tasted pretty average, but there was enough sweetness from the avocado and the crab. The most memorable part of this roll was that while I was eating it, the sign for the Honey Valentine Roll fell down on me. Laughter ensued. However, I didn't need to be reminded that I was dining by myself, so err ... no, thank you. 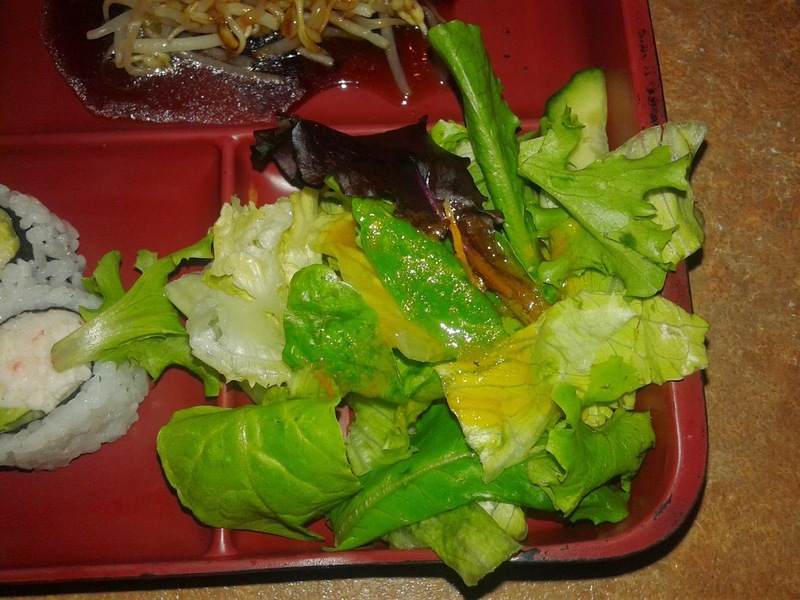 The Green Salad came in the form of fresh greens dressed with a mild, tangy Japanese dressing. The dressing was a thin one rather than the typical thicker vinaigrette. The Oxygen Fitness Roll consisted of seared salmon, green onions, bonito flakes, masago, crab meat, cucumber, avocado, spicy mayonnaise and teriyaki sauce. The salmon had an excellent soft and silky texture while the spicy mayonnaise helped to project the nice smoky flavour of the roll. This has been and remains one of my favourite rolls in the suburbs, and yes, this is the reason why I listed Shinobi under my favourites. I believe this roll is named after the Oxygen Yoga and Fitness center down the block, but I am not 100% sure. I was in the mood for more food so I decided to order the Appetizer Sashimi, which came with 3 pieces each of tuna and salmon sashimi. The Tuna Sashimi was very fresh with a decent soft texture and the salmon sashimi had the fresh, creamy flavour that I was looking for. Overall, it was a satisfying visit as the service was sufficient and there were successful dishes across the various categories of Japanese food that I had. The quality-to-price ratio at Shinobi is significantly better than the average Japanese restaurant in Vancouver. Maple Ridge's southern counterpart, Langley, doesn't seem to fare so well in this respect. I will never forget that time I had sushi in Langley where I genuinely liked the iced water better than the sushi.